As I watched the 75th Annual Golden Globe Awards last night, I was struck by something. While so many were reveling in the feel-good solidarity of it all – women standing together, the #MeToo and #TimesUp movements – I was feeling unimpressed and unsatisfied. Yes, there were some great and moving speeches, but as I watched Oprah Winfrey accept the Cecil B. DeMille Award, it dawned on me. The lack of diversity is still blatantly and painfully obvious, and therefore, it is hard for me to appreciate this “so-called” changing tide. Like everyone else, I was moved and impressed by Oprah in all of her “phenomenal woman-ness,” as she nearly transformed herself right before millions of onlookers, to the single most viable presidential candidate for the 2020 election. Then, I was quickly annoyed by something she said – that she was the first Black woman to receive the Cecil B. DeMille Award. What? Are you kidding me? No way. So naturally, I opened up my laptop to verify what she said, and sure enough, it was true. 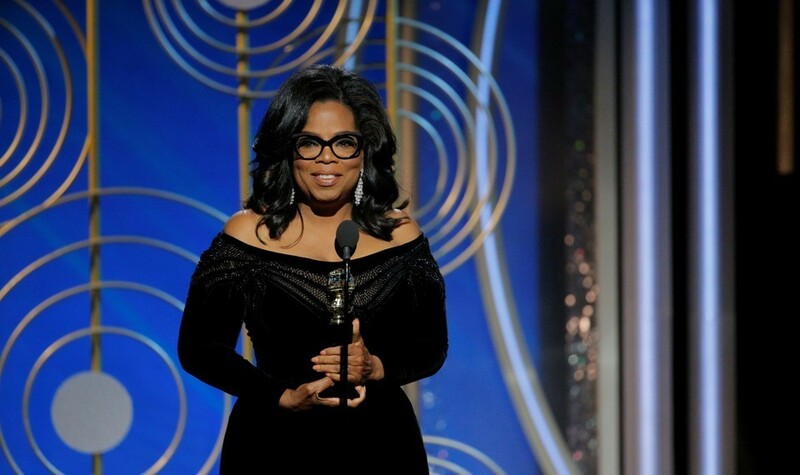 The Cecil B. DeMille Award for “outstanding contributions to the world of entertainment” was first presented to Cecil B. DeMille in 1952, and after more than six decades only three Black men have been awarded – Sidney Poitier, Morgan Freeman and Denzel Washington – and now, one Black woman, Oprah Winfrey. And while there were some diverse nominations overall – Sterling K. Brown, Issa Rae, Daniel Kaluuya, Denzel Washington, Mary J. Blige, Octavia Spencer, Hong Chau, Aziz Ansari and Anthony Anderson – the only African American winners of the night were Oprah and Sterling K. Brown, who, as it turns out was the first African American man, in 75 years of the Golden Globes, to win Best Actor in a Drama Series. Are we supposed to be happy about these wins, because I, for one, am appalled that there is still so little inclusion? And while Hollywood touted this night as the time of change and night for women’s solidarity, for me it was purely and simply, the night for white women in Hollywood. They were the big winners in all of this, and we (people of color), once again, received a few crumbs on the back end. So how significant is this change going to be? #TimesUp for what exactly – sexism, but not racism? Donnetrice C. Allison currently serves as Professor of both Communication Studies and Africana Studies at Stockton University in Galloway, NJ. Dr. Allison also serves as coordinator/chair of the Africana Studies Program and Faculty Senate President. In addition to chairing Africana Studies, Dr. Allison has been a Communication Studies scholar for more than two decades. Dr. Allison has published several articles and dozens of conference presentations on hip hop culture and media portrayals of African Americans. In 2016, Dr. Allison served as sole editor of the book Black Women's Portrayals on Reality Television: The New Sapphire, published by Lexington Books; and she contributed an article titled, “The Perpetuation of Racial Stereotypes in American Media,” for the two-volume book set, Race in America: How a Pseudo-Scientific Concept Shaped Human Interaction, published by Praeger Books. In 2017, Dr. Allison’s article on colorism was featured in the Journal of African American Studies special issue on music icon Prince.